What is Use Your Vote? 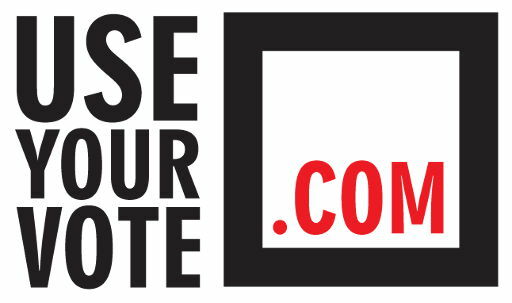 Use Your Vote is a new all-party and non-aligned national campaign that is determined to build political literacy and enhance democratic engagement and active citizenship across all age groups. ‘Bringing the vote out’ is expected to be one outcome of the exercise but the campaign’s wider purpose is to encourage individuals to think more broadly about the concept of voting, democratic engagement and getting involved – a much more regular experience, and a richer one, than something that happens every five years at a General Election within the confines of a ballot box. Our intention is that the useyourvote.com brand identity will appear on letterheads, on social media across the web, in advertisements, in communications from a whole range of public bodies, and alongside a range of national brands, understated but always there – very much in the quiet yet highly visible and authoritative style modelled by initiatives such as Investors in People – and conveying a message of personal encouragement, social concern and corporate responsibility. We neither seek to displace or duplicate existing campaigns targeted, for instance, at specific demographics. Instead, we want to work alongside and seek to give expression to these vital initiatives, while building Use Your Vote as a mass campaign, aware of the needs of specific groups but aimed at every voter in every constituency. Our decision to launch in 2016 is deliberate. At first glance, this might appear to be a “non-election” year but, of course, there is no such thing. Nationally, this year will see a referendum on Britain’s continued membership of the European Parliament and elections to the Scottish Parliament and to the Northern Ireland and Welsh Assemblies. Locally, 2016 will see elections in various parish, borough and county council areas, including elections to the London Assembly and of the London Mayor, and of Mayors elsewhere. Finally, across England and Wales, we will see the election of 41 Police and Crime Commissioners who will hold local Chief Constables to account. Throughout the year, individuals will be elected to positions of responsibility as school governors, as charity trustees and as members of the boards of businesses and social enterprises, large and small. Members of community associations, special interest groups, trades unions, student unions and school councils will elect representatives from amongst their peers, and vote on decisions about courses of action on causes they support or issues they are unhappy about. In every case, individuals will be using their vote, or will have the right to do so. We want everybody to use every vote that they have the right to use, and we want them to feel confident and informed in doing so. We also want to see candidates in all elections drawn from a much broader demographic, one in which every voice is expressed, represented and heard. By the time of the 2020 General Election we want to see a tangible reverse in a democratic deficit that has been growing for over a quarter of a century, and we want to see the Use Your Vote ‘Ballot Box’ identity posted just about everywhere it can be – approximately a third of the population do not vote in General Elections and in other elections the figures are, typically, much bleaker, and apparently getting worse. We’ll need all sorts of support to reverse this trend, including financial backing from those in business who care about the heath of our democracy, but most of all, we need your support and your energy to build this into a mass campaign that strengthens our society, our communities, and our citizenship at every level. "Any attempt to get more people interested and involved in politics should be greeted with open arms, so Use Your Vote's campaign to boost turnout is very welcome. As flawed as Britain's First Past the Post voting system is, it's vital that people have their say on who represents them, and get stuck in with the issues that affect us all. In a democracy, politics can't be left to a select few, so we wish the Use Your Vote project every success."